It's Legal. 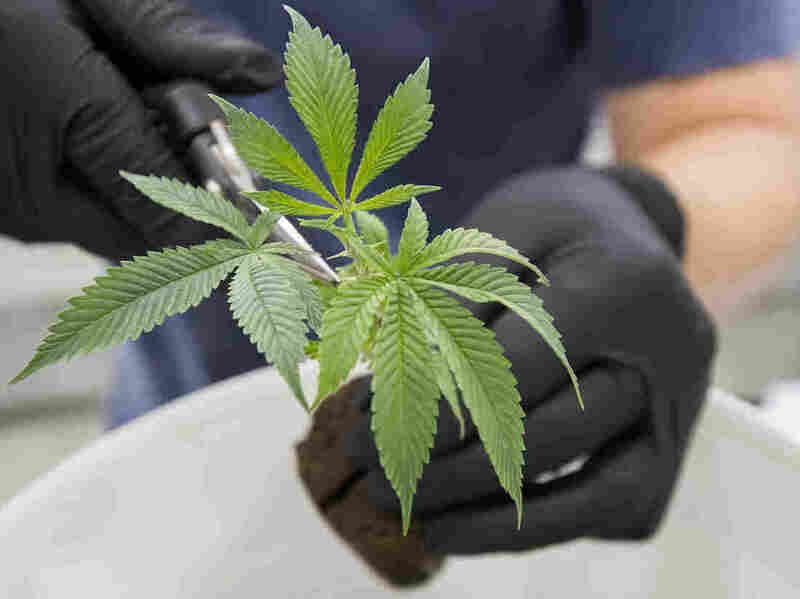 In Canada, Recreational Marijuana Gets Green Light Pot sales begin today in Canada, which is only the second country after Uruguay to legalize the drug for recreational use. A planter trims medicinal marijuana plants in Ontario in 2016. After months of preparation, Canada legalized recreational use of the drug on Wednesday. The country had months to prepare for the law's launch. The House of Commons and the Senate approved legalization in June, and later scheduled the law to go into effect on Wednesday. The government of Canada will oversee production and manufacturing of the drug. Provincial and municipal governments have control over wholesaling, and will also be able to set laws on public consumption. In provinces without a regulated retail framework, Canadians can purchase marijuana online from a federally licensed producer with "secure home delivery." "Provinces will learn from each other, municipalities will learn from each other," former Deputy Prime Minister Anne McLellan told Here and Now in September. "We heard when we visited states in the U.S. that have legalized [marijuana], it's really important to get out and educate your public," she said. McLellan said the government's early estimates of use in the country of 36 million ranges from 650,000 to 900,000 tons on an annual basis. A report by Deloitte estimates the Canadian marijuana market will pass $7 billion by 2019. "I do believe that the government of Canada is ready," McLellan said.